With inspiration from genre contemporaries like ‘Daphni’ and ‘Modeselektor’, as well early house and techno pioneers Carl Craig and Frankie Knuckles, digging into this one will give you a world of new options to push your productions forward at great speed. Crisp, analogue, soulful and beautifully stylish. Future funk is our first foray into the recorded world of classic funk samples and wow, what an entrance. By utilising all the classic gear you know and love we’ve amassed a collection of truly authentic funk samples that instantly transport you back to the heyday of skilled session bands, ‘vibing jazz quartets and painfully talented session musicians. 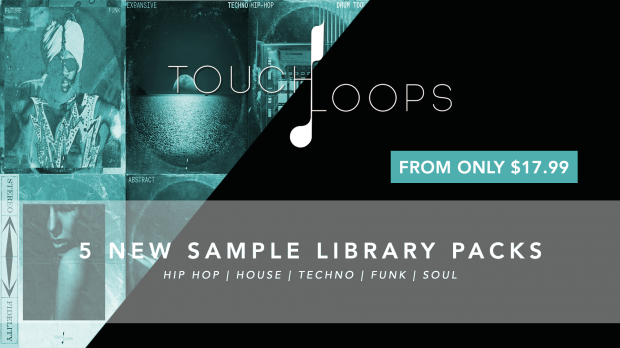 Inspired by the likes of Jon Hopkins, Erased Tapes and Rival Consoles this groundbreaking batch of texture driven analogue samples are exactly what your sample library has been crying out for. Think otherworldly, super stereo pads and ambiences, foley manipulated granular top loops, rolling analogue sub bass lines, wave table heavy synth leads and so much more. The attention to detail in both the location recordings and the editing is clear for all to see – incredible stuff. Inspired by the sounds of Kaytranada, Goldlink, Jay Prince and Soulection, this soulful trap sample pack has everything you could need to hone your sound and become the most in demand music producer. Plus, you get to access a collection of incredible live instrument loops that are impossible to recreate without the session musician sitting right next to you. Hip-Hop is so often at the heart of Touch Loops, with the Lo-Fi aesthetic being one of the most innovative & exciting right now. By running small, everyday sounds, classic drum machines and live kits through saturated tape machines and analogue filters Touch Loops have been able to create an incredible batch of Lo-Fi Hip-Hop one shots you’ll just love. This entry was posted in DontCrack, Sounds and tagged Abstract House, Drums, Expansive Techno, Funk, Future Funk, Hip-Hop, Hip-Hop Drum Tools, House, One Shots, Samples, Satellite Soul, Soul, Techno, Touch Loops. Bookmark the permalink.